Determining whether carbs, fats or sugars are worse isn't as clear-cut as you might think. Both carbohydrates and fats, though often cited as unhealthy dietary components, are macronutrients that play a vital role in maintaining your overall health. Added sugar, on the other hand, doesn't provide much of a benefit to the body. Carbohydrates are the body's main source of energy. During digestion, the body converts carbs to glucose, which is then moved through the bloodstream into your cells to be used for energy. Not only does it fuel your physical movements, but this macronutrient also provides energy for all of your organs. Carbs, however, aren't all created equal. The Harvard School of Public Health recommends getting your carbs from fruits, vegetables, legumes and whole grains. All of these carbs are complex, which means they're filled with vitamins, minerals, fiber and other nutrients. Simple carbohydrates, like refined grains and processed foods, rarely contain the nutrients found in complex carbohydrates, therefore don't serve a true purpose for your overall health. Like carbohydrates, dietary fats are essential to your health. They're used by the body for growth as well as to prevent of certain diseases, such as high cholesterol, Type 2 diabetes and coronary artery disease. Certain fats are healthier than others, however, and all should be consumed with limits in mind. According to the American Heart Association, keep your dietary fat intake to no more than 25 to 35 percent of your daily caloric intake. Of this intake, stick with monounsaturated and polyunsaturated fats. Saturated fats should be kept to a minimum, making up no more than 7 percent of your daily caloric intake. Trans fat should be avoided, but they can comprise up to 1 percent of your daily caloric intake. 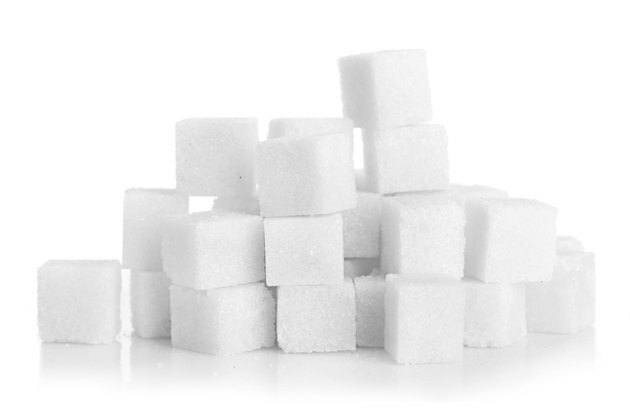 Sugar is actually a type of carbohydrate. The best forms of sugar are those found naturally occurring in foods, such as fruits, vegetables and dairy. Even some whole grains contain sugar. But added sugars found in many processed foods aren't good for the body, particularly when consumed in great quantities. MayoClinic.com suggests limiting your intake to no more than 100 calories a day for women and 150 calories a day for men. Eating more than this amount can increase your risk of weight gain and high triglycerides. Diets high in added sugar are also more likely to lack the proper nutrition needed to maintain good health. Based on these characteristics, it looks like sugar — namely added sugar — is the worst of the bunch. Try to limit your intake of foods high in added sugar. At the same time, watch your intake of fat and limit your carb intake to those considered complex.